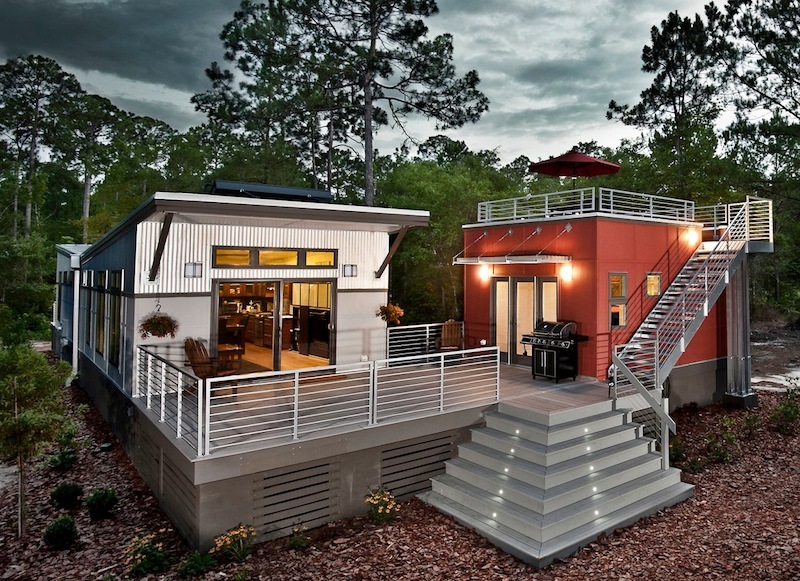 Clayton Homes turned the prefab world upside down last year when it announced the i-house, a modern, green prefab with an approachable price tag. I-house has been insanely popular and installed in various locations. And it turns out that the company is nearing the release of a new version of green prefab, i-house 2.0, which will have an enhanced front entry, warm and natural exterior materials, and more interior space to accommodate families. There's been a lot of talk of the i-House ever since Clayton Homes announced its launch in about January of this year. The home is contemporary, affordable, and energy efficient. Landowners Bob and Melinda bought a 37-acre swath of land in 2006, hoping to someday build a home on it and live the good country life. They're 95 miles from Louisville in western Kentucky and had an i-House delivered just about a month ago.